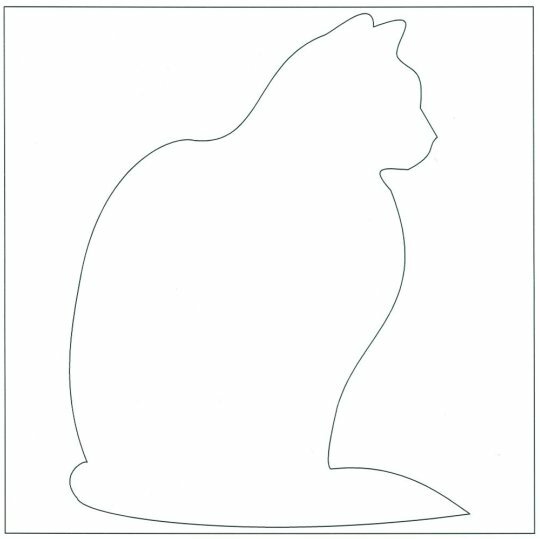 This applique cat block is made from one of four different cat templates. 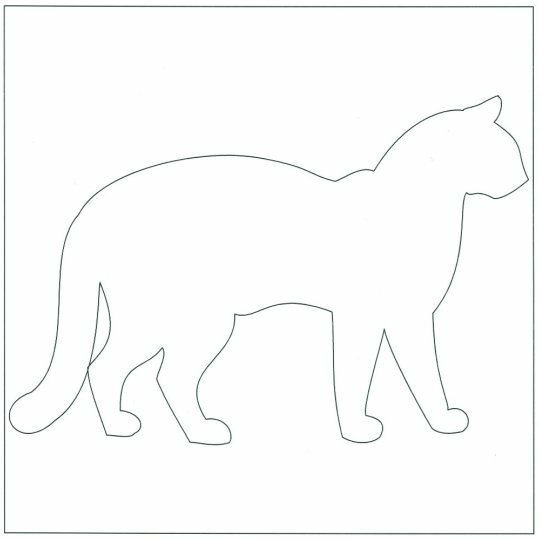 You can make several blocks each one using the different cat template. The blocks are then joined using bright fabrics for the sashing. 2. 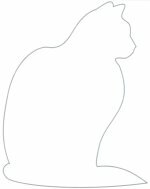 Using black fabric (tone on tone or plain) select the cat you like and using your preferred applique method stitch your cat onto the background. 3. Repeat until you have the number of blocks you require. When using this block it pays to think very carefully about the end use of the quilt. 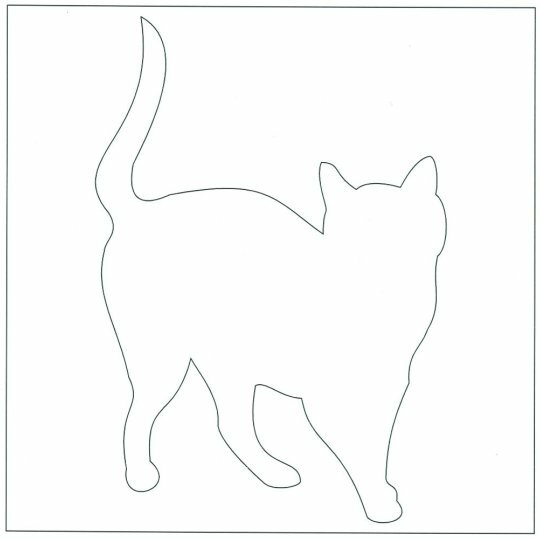 Some of the images from this block I have used to make my grand daughters Nighttime Cat Antics quilt. 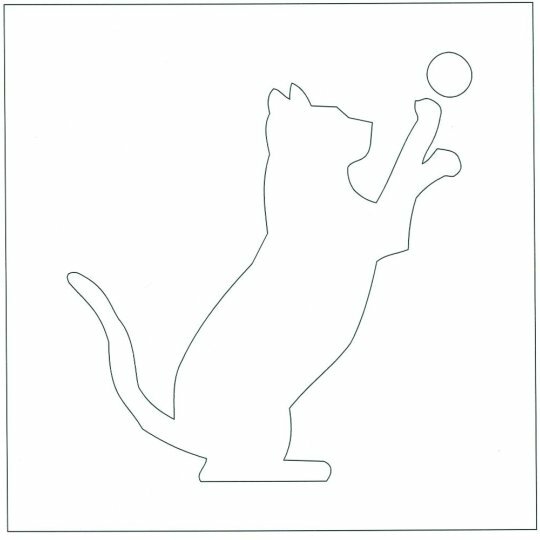 This was a themed quilt where the cats come out at night to play. The background fabric needed to be dark blue for this to work. If you have members in your group who are a bit averse to applique then this block set could be a good starter. 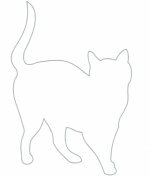 The cats are all silhouettes so only require stitching around their outer edges. Also with four different blocks to choose from there is a range of skill levels for them to choose from. 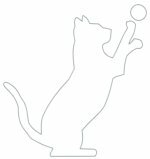 We had quite a few blocks made and I remember that there were two blocks that had the cat appliques ironed on but not sewn due to time restraints or whatever. We have decided this is acceptable as it gives more blocks to be submitted in the monthly draw.